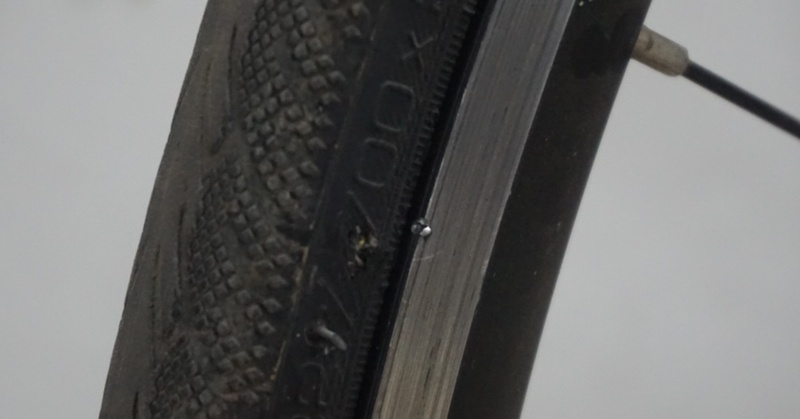 I can officially declare myself as the king of punctures. I had plans to do an airport loop. En route, I met a guy, Ram, on his Lynskey Titanium bike, who invited me to join him and two of his friends to Bagalur. These guys were rolling pretty nicely and were riding at a pace that is slightly higher than mine. But it was not something that I couldn’t sustain over a three hour ride. From L to R: Ram, Anantha and Venky. This is a screenshot from a clip that was recorded on the Mobius mounted on my handlebar. That was mistake number one. I should have insisted on doing that. Always exchange contact numbers with at least one guy before the start of a ride. During one section of the rolling terrain, I had just lost them visually. 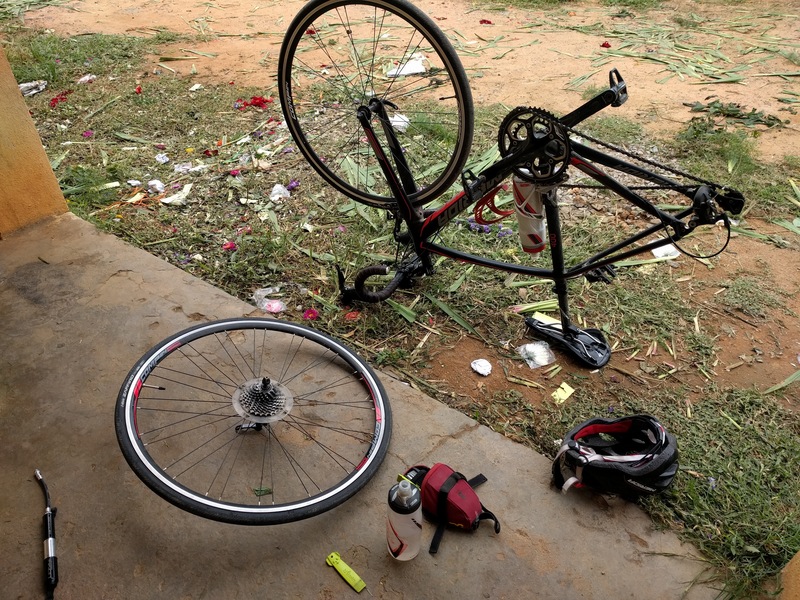 I rode slightly harder and entered Bagalur. There was a fork in the road and I didn’t know where those guys went. Mistake number two. Always ride with strangers after you have noted the coordinates of the destination. I think I must have taken the Hosur road. I rode for quite some time at a much higher pace. Since I had no clue where they were headed and I didn’t have any of their numbers, I did not have way to reconnect with them. At some point I just gave up on the idea of joining those guys completely. I had stopped for a break when two kids came up and asked if they could take my bike for a spin. I flatly refused. The bike is not something to be casually used and definitely not to be given to strangers. On my way back, I heard a hiss sound from my rear tyre. I pushed the bike to a shelter and swapped the tube. The shelter turned out to be a flower shop and a distribution centre. The owner’s son, Nagesh sat beside me and watched me replace the tube. I did this in 15 minutes. I am getting pretty good at it. The culprit was something hard and sharp. It had managed to even notch the edge of the rim. Maybe it’s time to invest in a pair of Gatorskin Hardshells. It’s a sad truth about cycling. It’s also known as the golden truth of cycling – punctures are inevitable. I can only imagine some buddha, sitting underneath a tree that’s as old as knowledge itself, preaching his disciples this existential truth. His disciples would be wondering, ‘Yeah we have heard of the cycle od rebirth, but what is this bicycle?’ Some of them would also (wrongly) deduce that the puncture that stops the act of cycling is an allusion to Nirvana that allows one to escape the cycle. Since, I was riding on my own, I dropped to my usual pace and clicked a few photographs on my way back. 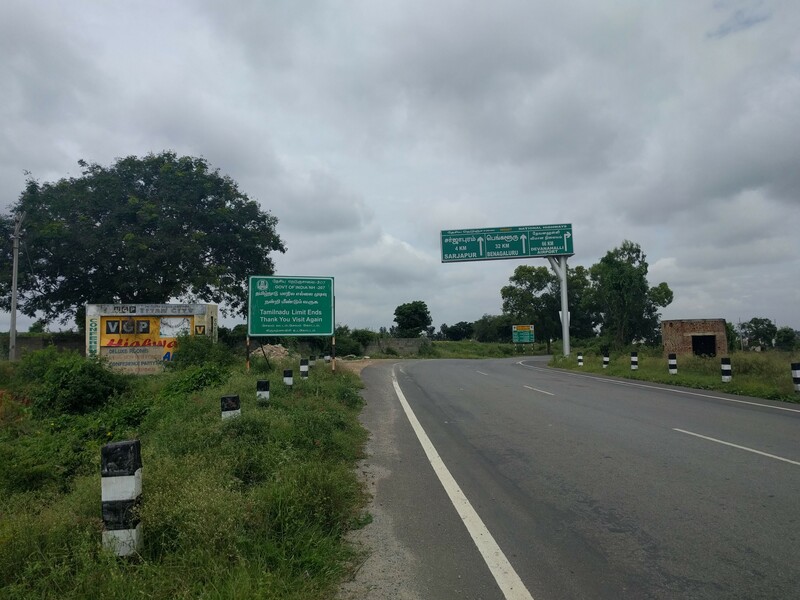 This is Karnataka – Tamil Nadu border on Bagalur road. 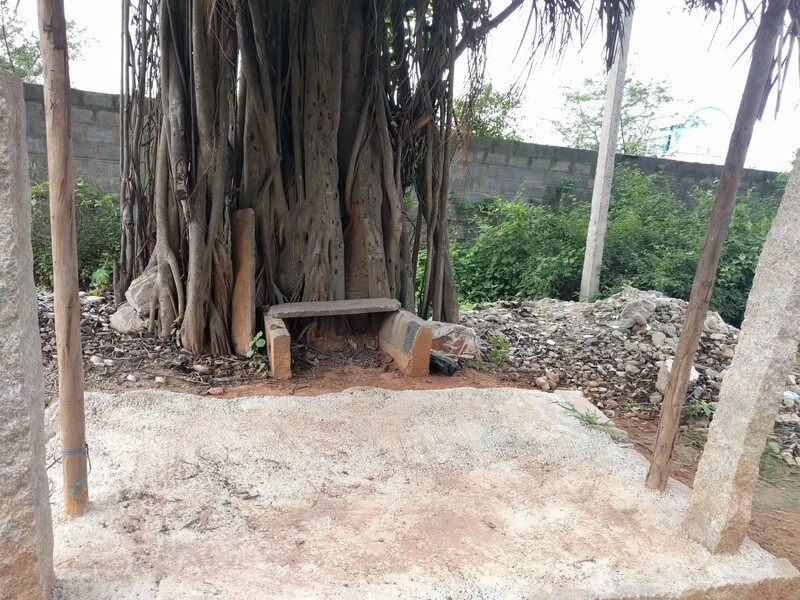 An empty throne! This is more surreal than the one I saw few weekends ago. I think mounting any actioncam on the handlebars is not a good idea unless the actioncam has some sort of image stabilisation mechanism. Going through the footage I had taken during my ride, even on the smoothest of roads, I found the image to be shaky. This camera has to be mounted on some anti-shake gimbal in order to get some decent motion footage. The camera gave me about 1.5 hours of service on its full charge. That’s pretty good considering its tiny size.